This page is dedicated for Chaldean family trees of the beautiful Chaldean people of Mesopotamia. The last known native people of Iraq, Syria and Southern Turkey and Western Iran. 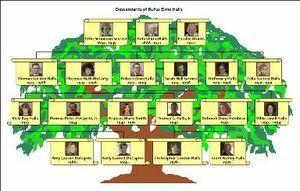 This is a list of each Chaldean family tree. This is a digital archive of the Chaldean people worldwide. An initiative to document our Chaldean people, the natives of Mesopotamia and forever to become immortals through digital archives for future Chaldean generations and the rest of this world. This is a family tree of the kings of Jerusalem. This diagram lists the rulers of the kingdom of Jerusalem, since the conquest of the city in 1099, during the First Crusade, to 1291, year of the fall of Acre. Henry Adams (1583–1646) born Barton St David, Somerset, England was the first of the clan who immigrated to New England, United States. George Caspar Adams (1863–1900), prominent college athlete and football coach at Harvard University. Charles Francis Adams III (1866–1954), 44th Secretary of the Navy, mayor of Quincy, Massachusetts. Charles Francis Adams, Jr. (1835–1915), brigadier-general in the Union Army during the American Civil War and president of the Union Pacific Railroad from 1884 to 1890. Brooks Adams (1848–1927), a historian and political scientist. Samuel A. Adams (1934–1988), a historian and CIA analyst. This page was last modified on 12 August 2015, at 00:09.